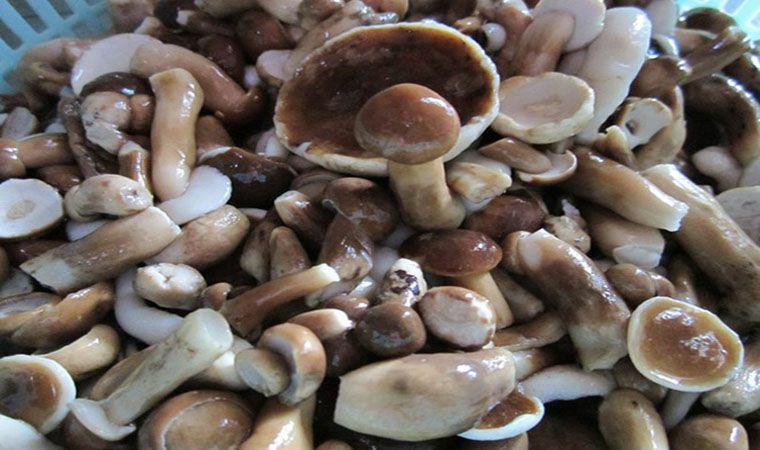 If you like to eat mushrooms and are familiar with kimchi mushrooms, mushrooms, abalone mushrooms or straw mushrooms, then you should not miss the trip to Phu Quoc is not unique here. Tram forests usually grow from under the leaves in the fields when the first rains begin to fall. The trees are small cajuput species to look like tiny tiny trees. As large, melaleuca mushrooms look like purple umbrellas. The life span of the mushrooms is quite short, only about a month, so it is rarely available in the market. And so the price of it is quite high from 100 to 150 thousand per kg. This is a natural mushroom so if you want to eat, you will have to go to the Melaleuca forests to pick. A dish that Phu Quoc people as well as many tourists have come here prefer is the mushroom soup. This dish is a harmonious combination of mushrooms with fresh seafood on the island such as Dumplings, squid, shrimp, ... When cooking, remember to add a little pepper to enhance the delicious flavor of the dish. . When you enjoy the crocodile mushroom soup, you will feel the sweetness of fungus, aromatic concentration of pepper and will be more rich if you share with the gravy of Phu Quoc. One special thing of this soup is that after eating mushroom soup, drinking water will make you feel bitter. Do not be afraid of poisoning because it is the specific feature of Phu Quoc. Another note for you is not to re-heat the mushroom melaleuca by doing so will not be good for health. What to wait for a tour not to Phu Quoc to enjoy this Phu Quoc specialties.